When most people think of modeling, they think of glamorous photoshoots on beautiful islands, jetsetting lifestyles and stick thin girls who eat ice chips for most meals. Sure, that kind of modeling exists – and I’ve even graced a few magazine covers myself (see below) – but I was lucky to stumble upon the real money making job in the modeling industry: being a production fit model. You see, the magazine covers were coveted gigs, but ones that only paid about $250 for the entire day. When you’re a production fit model, you make that per hour, and you don’t have to be stick thin or even beautiful to do it. I started in the modeling world as most girls do – young, impressionable and eager to book any job no matter how much it paid. I was shooting for a lot of fitness magazines and catalogues here and there, but not making any sort of money that could actually support me. One day when I was in my agency, one of the bookers asked if they could measure me to see if I would be a good candidate for fit modeling work, and I’m so grateful that I was. It was like winning the lottery. You see, the super thin Amazonian height models that you see in magazines and on the runway are actually not so lucky. Their look is so specific and high fashion that they are confined to only the editorial magazine jobs that usually pay under $300 for the day and don’t come around very often. These are the same girls who are living in model apartments with four other models and barely able to afford food (which I guess helps in this profession?). It’s a sad truth that many young models are brought to big cities like NYC with hope planted in them by agencies who turn around and charge them for everything from overpriced accommodations to fees for being featured on the website and hefty charges for advancing money that they are owed. It’s no wonder that all these models are broke – by the time all the fees and commissions (20%) are paid, there isn’t usually much left. So you can see why I happily gave up the dream to ever be featured in Vogue, and settled into my healthy size 4 shape that didn’t require starving myself or a ton of rejection that comes from not being the desired “look” that’s currently trending (Punk? Big lips? Bushy eyebrows? No eyebrows??). With so much competition in the world of modeling, being able to do fit work was certainly a blessing for my wallet and my ego. So What The Hell is Fit Modeling? Fit models are like live mannequins for designers who have the proportions that match industry standards. For example, the industry standard for a size 4 is someone approximately 5’8″ with a bust measurement of 34, a waist measurement of 27 and a hip of 37. If you have close to these measurements, have good posture and good shape, than you could be a candidate to be a fit model. Higher end brands generally fit on a size 4, but the mainstream brands tend to fit on a size 6 or 8, which is more of an average sized person. 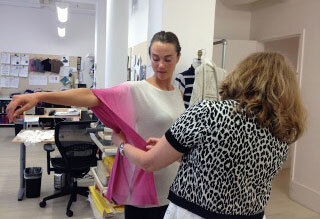 A day at work entails going into the designer’s studio and trying on prototypes of their designs. You move around in the article of clothing and give feedback as to how it fits, and the garment is altered to fit your body properly. The reason you are compensated so generously is because the designer’s entire line is built to YOUR body, so you become a valuable part of the design process. Your value also comes from the fact that you’re not able to fluctuate in weight or measurements at all. I repeat, you must stay the exact same size, always. I’ve lost jobs because I’ve gained a few pounds and couldn’t get them off fast enough – true story; and when you lose one of these clients, you lose big time money. You’re making anywhere from $150 – $250 an hour and usually fitting anywhere from 3 to 6 hours a week… you do the math. So that’s the catch. You are paid very generously simply for having the right body, but you have to be hyper aware of staying the same size. You also have to be on your feet for hours at a time while people prod and pick at you with pins, but if you’re at all interested in fashion, that could be exciting for you. It was always fun for me working with big name designers (I’ve worked directly with Diane Von Furstenberg* among others) and seeing their incredible creative minds and sometimes crazy personalities. It’s definitely not a glamorous job, and you may not be in magazines, but seeing clothes hanging in the store that were fit exactly to your body is always rewarding. Unfortunately you could only consider this as a job option if you live in a city that hosts design houses. I live in NYC, which is the mecca of fashion, and therefore the most lucrative place to be a fit model. There are also fit modeling gigs to be found in LA, and funny enough places like Columbus Ohio are home to brands like Abercrombie & Fitch who fit their clothes at the head office there. After all of the struggles that I went through with modeling agencies, I recently launched my own boutique fit modeling agency here in NYC. If you think that you have the right measurements and can handle the pressure, check out StettsManagement.com to see the kinds of models I represent – maybe one day you’ll be up on the site and banking at this side gig too! 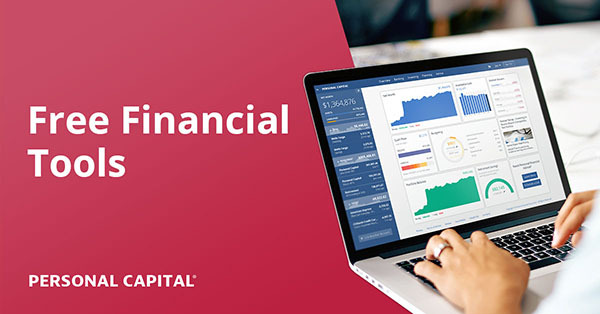 Along with managing, Ashley also blogs over at The Frugal Model – a blog on money, health, lifestyle, and of course frugality. You can find her on twitter @TheFrugalModel and Facebook as well. This reminds me of singers who do kids music instead of trying to win a Grammy. You don’t need to be in the top 1% of jobs to have a good life! Exactly! The jobs that are quietly done in the background can be the most rewarding! Love the insight into the fashion industry – thanks Ashley. I especially love the irony that real women get the final say on a piece of clothing’s comfort and functionality. You’re welcome! Thank god “real” models aren’t fitting clothes. We would all look like stuffed sausages. What’s a “real” woman? I’m pretty sure my mom wasn’t any less real when she looked like one of those stick-thin types you might be thinking of. Interesting hustle and great paying too. Thanks for sharing. Very cool side gig. Back in my freshman year of college I landed a couple of modelling gigs for an athletics magazine. The pay was pretty good too because they would only take students who ran track and field. That’s pretty cool! Reminds me of those British movies like Harry Potter who only hire other Brits. I learned about fit modeling when my sister was a fashion designer and her friend was her fit model. It’s a great gig compared to other types of modeling but still depends largely on the hereditary happenstance of being the right size. But that size is more common for sure! Wow, this is such a cool job. I love learning about jobs like this that most people don’t even know about! Who knew that you could get paid for just trying on clothes (which sounds like a great gig to me!). thanks for the article! This reminds me of how people always ask if I want to work on Broadway and I look at them like they’re crazy. I’ve been a successful stage manager for 12 years because I never got side tracked by the idea that that’s the only path in this career (not that Broadway isn’t an awesome path). I’m perfectly happy making decent money working for cruise lines or corporate gigs. What a neat niche. Who knew? I wonder if they need paunchy male models for fitting? hah! I do wonder if male models are needed in this arena as much too? I should actually ask her! Okay, she said there are male models in this line of work, but not as many as women. I’d be like Kramer trying to model Calvin Klein underwear. haha….. oh man, forgot about that one. I think it’s great you started a blog to help other models learn about money and the industry from a more truthful perspective. Honestly, I could never do it (even if I had the bod and the look). I find trying on clothes at the department store exhausting…and shopping for me is a very rare occasion! I’m glad to hear though that there are some behind the scenes type jobs in modeling that pay a bit more! Thanks so much! Yes I’m lucky to have stumbled into this! Always thought I’d be a leg model, until the softball slide of 2007, I don’t think my legs will ever be the same. Maybe I could be a hand model like George Costanza. Just have to stay away from the clothes irons! Great side hustle! haha… I think about him every damn time hand modeling comes up! Two Seinfeld references in the same comments section…I knew this was my favorite blog for a reason! What a neat side hustle idea. I didn’t know there was another type of modeling besides the “high fashion” stuff. Thanks for sharing! Don’t think this really applies to me, but thanks for sharing! Great post – thanks. What about petites? Do they use specific size models for petites as well, or do they just scale down from the ‘standard’ sized clothes? That would be nice to model diamond rings and then get to keep some for payment! Is there any way to find out where these design houses are located if you do not live in NYC? I live near Raleigh, NC, and I’m gonna go out on a limb and assume that we don’t have anything like that down here in the sticks ;) But I actually fit the requirements almost to a tee, it would be great if I could find something like that around here!! Thanks for the great info!! A 4 isn’t stick thin. How is 130-135lb super tiny? I live in London, UK and I’m a plus size girl. I’ve completed some fit modelling jobs for a few plus size retailers out here and enjoyed it. They were just regular stores, but they valued the models, as we really helped them to create their clothing lines. It does involve standing around for long hours, changing garments quickly, giving good feedback to the designers and being friendly and personable. Also, you can’t be shy about your body as you could be in front of several designers (male and female) and/or models. I’ve fitted underwear, tights, shape wear and general clothing and I met some nice ladies. Sometimes it would be a solo job and sometimes I would work alongside several models of different sizes. Occasionally you could keep some of the clothing. One of the best things was that you didn’t need any prior experience, you just had to have the right measurements and the ability to maintain your weight. I found the jobs by replying to ads online and I’m still registered with a couple of agencies here in London. It pays decent money and it’s a job I would happily do all day.